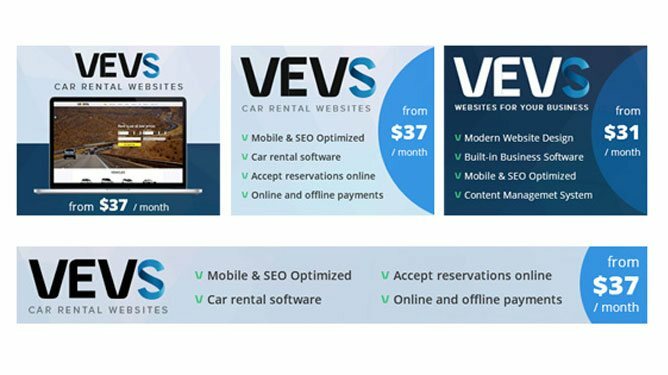 Make money with VEVS Website Builder by driving conversions. Promote our business solutions and monetize each referral. Earn $96 per year for each website. Life-long! Becoming VEVS Affiliate takes a few minutes only! Your membership will be approved automatically and can be cancelled anytime. You have no obligations whatsoever, just limitless opportunities for extra income! Promote us and earn a $8 monthly commission fee for each VEVS website your referrals subscribe for. No entry fee. No monthly target. Easy sign up and cancellation. It's entirely up to you how much you will win. Keep track of your payment history, earnings, number and status of your referral accounts, and other stats. Download our standard-size banners and place them on your website. Request custom designs. Who can be VEVS Affiliate? Use the Apply form to create your VEVS Affiliate profile. We will approve your application and you can access your personal account and review all activities (such as trials, subscriptions, payments) listed on a clearly organized dashboard. Use all possible channels to advertise VEVS. Add our HTML banners on your website, post them on social media, insert your affiliate link in relevant blog posts, comments, emails, etc. Collect your accumulated monthly commissions for all active subscriptions resulting from your promotional activities. Monitor and manage all transactions from your VEVS Affiliate account. Upon signing up for our Affiliate Program you can request any advertising artwork and affiliate links you would like to use to promote VEVS Website Builder. All banners will be designed by us and served directly to your website. We can customize them to fit into your advertising positions. You can also post our banners on social media. There are 2 main artwork types: banners promoting VEVS and banners for particular VEVS website solution. If you need custom banner created just let us know and we will do it for you. 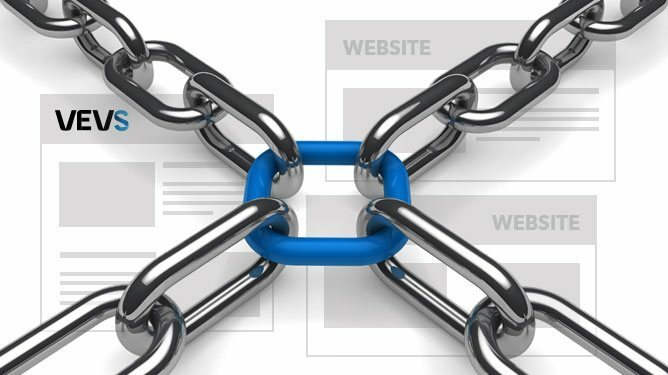 Add VEVS Affiliate links into blogs, forum comments, email campaigns etc. You’re free to use all channels you can think of. The more imaginative and active you are, the bigger your profit! Each link contains a unique affiliate code through which we’ll send a tracking cookie to your referral’s browser. The code is active 90 days. If the user converts in this period, you’ll earn $8 monthly commission. Each VEVS Affiliate has a personal account accessible from VEVS.com member area. Follow up the efficiency of your promotional campaigns and track your commission payments. Еasily navigate your VEVS promotional campaigns from a clear-cut dashboard. Get your affiliate text links, download a variety of branded images and fluid banners with a few clicks. Update your profile details, keep track of your earnings, payments, and performance stats. View all trial accounts and active subscriptions at a glance. Request email notifications. You will earn a monthly commission fee for each referred client who has used VEVS for at least 30 days. You can select your preferred payment method from your VEVS Affiliate profile. The standard options you can choose from: PayPal, Western Union, Wire transfer. Read some specific questions about the Affiliate Program. What is your affiliate program all about? How does it work? 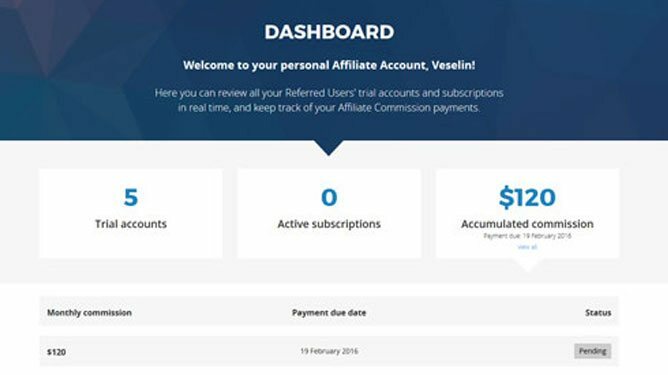 VEVS Affiliate Program is a win-win partnership allowing you to earn commissions by promoting our website solutions and driving conversions on VEVS.com. As soon as a customer creates a free trial account we will assign this trial to your partner account. Once the customer upgrades to one of the paid plans we will start paying you commission. Who can use your affiliate program? Everyone, who is willing to make money online. Among our Affiliates there are web developers, web designers, web agencies, freelancers, bloggers, publishers, resellers etc. I don’t have a website, but I would like to use your affiliate program. A website is not needed! You can promote VEVS on social media, mention us in relevant blog posts and forum comments, include us in email marketing campaigns etc. I’m not familiar with building websites. Can I still sign up? This is not necessary. Tell us how you wish to promote VEVS and in case you need any technical support, we will help you along. We will provide all the technical help to people who create websites with us. How do I make money with VEVS? It is simple, you drive traffic to our website and get a commission for every sale made from the people you have referred to our site. There are many ways to profit from promoting VEVS. You can place our banner ads on your website, write a blog post or mention VEVS website builder in relevant forum comments, include our web solutions in your email marketing campaigns etc. Of course, you can come up with other ideas, too. The main point, you generate sales for us and we give you a commission for that. You will earn a life-long $96 yearly payout for every client that subscribes to Small Business or Enterprise Plan. This means that you are going to receive commissions as long as your referrals have their websites with us. 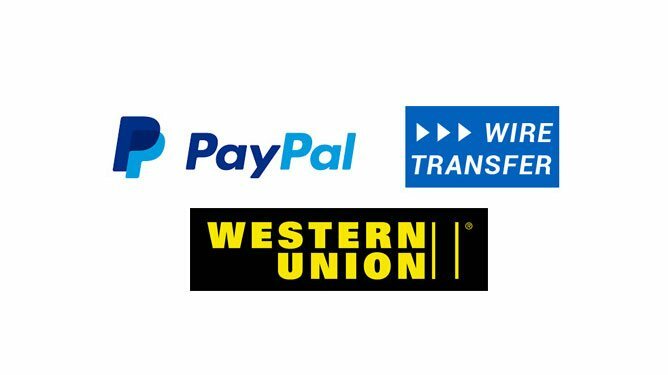 There are three ways to receive your monthly commission fees: PayPal, Western Union and wire transfer. You are free to choose the one that suits you best. Note that we keep a transaction fee in case of Western Union or wire transfer. The fee depends on your location and the transaction fee that Western Union or the bank charges us. Via PayPal, we do not collect transaction fee and we transfer the full commission amount. Still, note that you may have charges from PayPal on your side, depending on your account. Contact us for more details. We pay commissions once per month. We pay all commissions your earn for all of your converted referrals in one payment transaction. However, please note that we follow a payment scheme for each of your referrals. If clients pay on a monthly billing cycle we pay $48 after they make 3 monthly payments and then $48 on every six months the client is still using our services (i.e. month 9, 15, 21 and etc, after the client has subscribed). For clients using the yearly subscription cycle we pay $96 on the month 3 after client subscription and then on every 12 months to follow (i.e. month 15, 21 and etc). Is there a monthly sales target? No. It’s entirely up to you how much money you will make. How do you track sales initiated from my site? We are using the “good old” cookies. Your VEVS Affiliate link will contain a unique code through which will set a cookie valid for 90 days. If a user visits VEVS following this link and subscribes within this time period, they will be associated with your account.